Below you can view all the homes for sale in the Glenbrook At Summerlin subdivision located in Las Vegas Nevada. 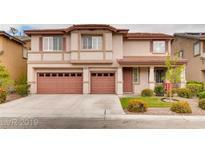 Listings in Glenbrook At Summerlin are updated daily from data we receive from the Las Vegas multiple listing service. To learn more about any of these homes or to receive custom notifications when a new property is listed for sale in Glenbrook At Summerlin, give us a call at 702-323-5933. Quiet LOFT for work or play . On CUL-DE-SAC. This is IT! MLS#2087727. Black & Cherry Real Estate. Large Upstairs Loft, And A Master Suite With Master Sitting Area And A Fabulous Master Bathroom. MLS#2087302. The Home Shop. This home is part of the Summerlin South Homeowners Association. MLS#2079024. Opendoor Brokerage LLC. Beautiful Back Yard makes this the ideal Family or Entertainment home! MLS#2073675. Keller Williams Realty SW.
Pool-sized Backyard With Green Grass, Lime And Peach Trees. Newer A/C Units. MLS#2073006. Refined Realty. Secondary bed upstairs also has an attached bath with stand up shower. MLS#2072954. Go Global Realty. Property Sold “as-is.” Does Need Some Tlc! MLS#2060521. Resolution Realty. Unobstructed mountain views from 2nd floor. MLS#2023099. Real Estate One LLC.